Sophie Oda. 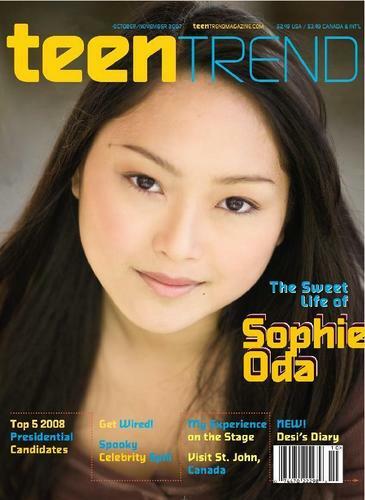 Oct/Nov '07 Issue featuring Sophie Oda. HD Wallpaper and background images in the The Suite Life of Zack & Cody club tagged: sophie oda cast suite life zack cody teen trend magazine cover image.